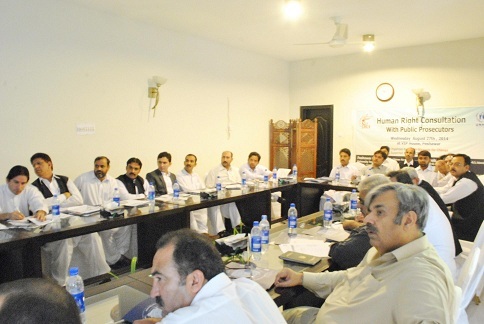 A Human Rights Consultation Workshop with Public Prosecutors of Khyber Pakhtunkhwa, organized by SACH-Struggle for Change, was held on 27.08.2014 at VIP House, Peshawar. 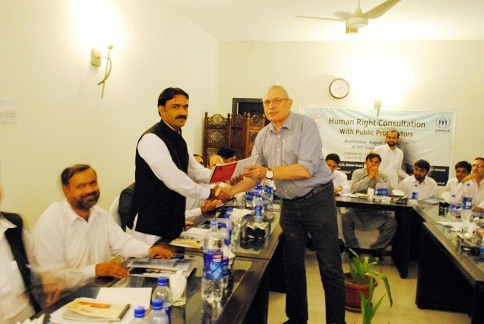 Purpose of the workshop was consultation and discussion with Public Prosecutors of Khyber Pakhtunkhwa regarding the role of SACH for refugees, global mandate of UNHCR, current status of refugees in Pakistan, discussion regarding human and refugee rights under international and local laws, etc. 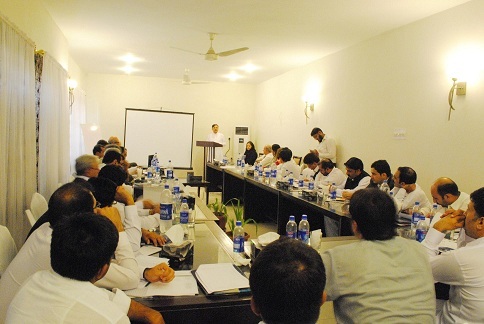 About 25 participants attended the workshop from prosecution department of Khyber Pakhtunkhwa. 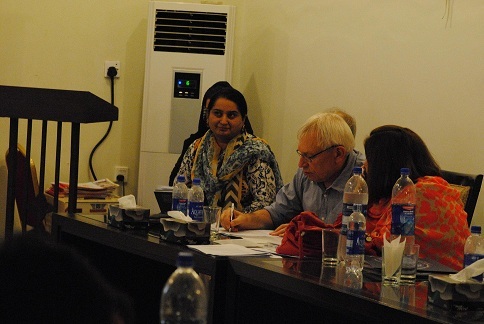 Divine note started proceeding of the workshop followed by a welcome address by Ms. Friederike Adlung, Senior Protection Officer UNHCR, Peshawar. 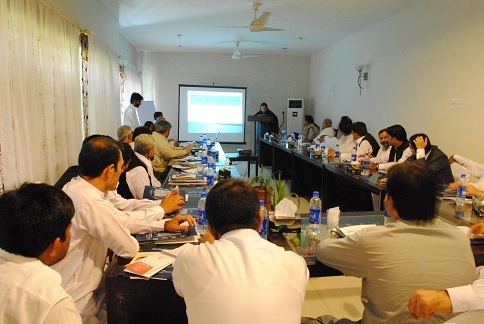 She briefed the participants on the background and mandate of UNHCR for refugees and IDPs. Mr. Nasir Jalil, Protection Associate delivered a brief introduction of UNHCR including history of refugees, human rights and humanitarian laws. Mr. Awais ur Rehman, Task Manager SACH Peshawar informed the participants about the role and services being rendered by SACH for refugees, including free legal assistance, psychosocial support, etc. Ms Wajiha from UNHCR delivered a productive session on GBV, followed by another session on Child Protection by Mr. Bilal Khan, Child Protection Officer, Peshawar, KPK. Mr. Zia Ahmad Khan, Principal Trainer (NIM) delivered a lecture on Stress Management. He declared prosecution department is overburdened which ultimately produce stress on them. His stress management techniques were very effective, and praised by the participants. 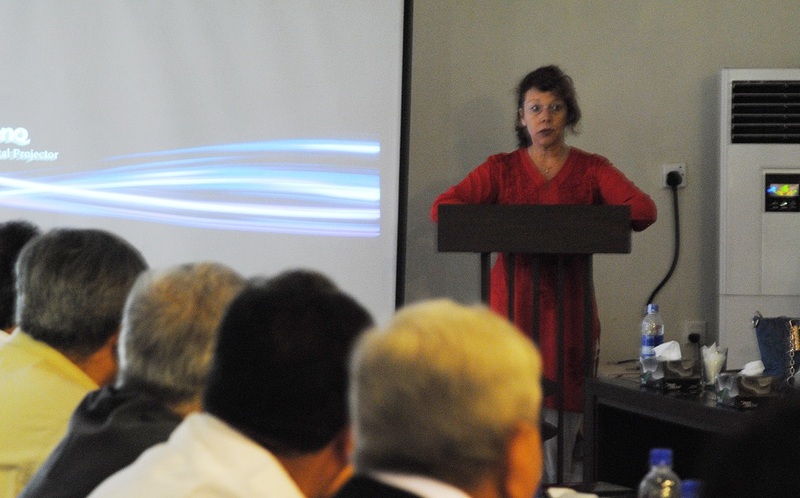 The honorable Chief Guest, Mrs. Asmat ullah Gandapur, thanked and appreciated SACH and UNHCR for arranging the workshop. He briefed the participants regarding the importance of prosecution in the criminal justice system. 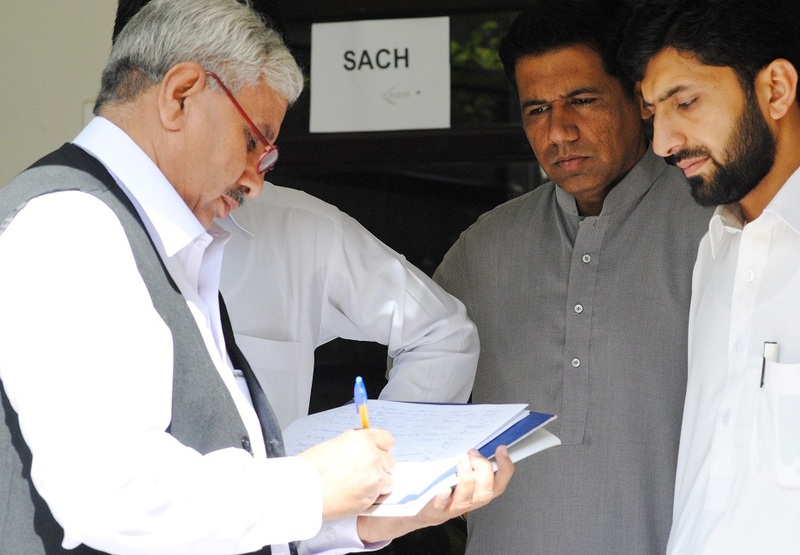 He said that although the prosecutors lack basic facilities and resources, but still they are delivering good services. 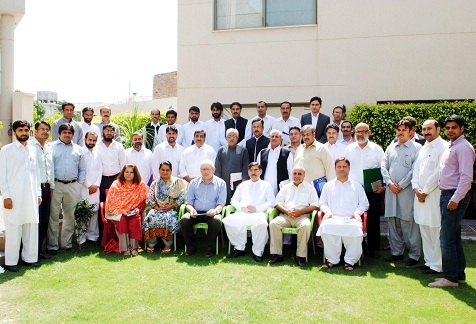 At the end of the workshop, Ms Shazia Azhar, Program Coordinator SACH Islamabad extended a vote of thanks to the Chief Guest, representatives from UNHCR, home department, child protection unit KPK and all the participants for their active participation and making the activity successful.